Kit Kat or Key Lime Pie; When is it coming? 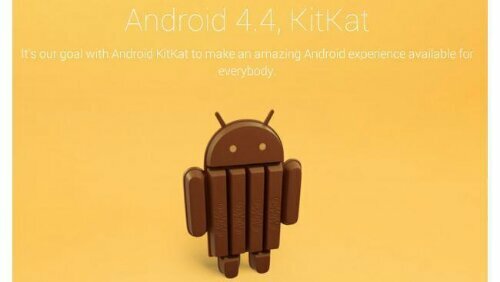 The next version of Android will be called Kit Kat, Google’s Sundar Pichai revealed in a coy tweet today. This is a surprise twist as rumours had it (for a year or so) that it would be named Key Lime Pie as we all expected. How true is this you ask? Pichai posted up a photo of the Kit Kat robot standing proudly in front of Google’s headquarters, nestled in nicely near the Gingerbread man and the Jelly Bean robot. Kit Kat the name after the Candy bar, is an interesting mix of open source software and corporate sponsorship. Anyway we hope that the new OS will be as sweet as the candy bar itself. The next question is, When is it being released? We are still in the dark here… Only estimating an October release alongside the Nexus 5, but yet again like with Key Lime Pie…we could be wrong. All we can do is wait and see but if any new rumours surface (and most turn to be true), we’ll keep you informed.